Indian penal code aur constitution ke bare me knowledge hasil karna na keval lawyers aur students ke liye important hai, but ye knowledge har ek citizen ko sikhna chahiye taki woh sahi legal decisions aur judgements kar sake. Hum log aksar bina soche samjhe legal decision lete hai jiski wajah se hum problem me pad jate hai but agar aap Indian penal code, articles, bare acts etc. ko pehle se hi samajh jaoge to future me aapko legal decisions aur judgements karne me aasani ho sakti hai. भारतीय वकीलों, मुवक्किल और कानून के छात्रों के लिए सर्वश्रेष्ठ एंड्रॉइड ऐप्स: Agar aap legal practice karne ke liye books read karte hai to ye keval schools aur colleges me hota hai. But android apps ko aap kahin par bhi launch karke jurisdiction system ko sikh sakte hai. Indian penal codes ko sikhna ek bahut badi kala hai kyon ki ye knowledge ek dam unique hoti hai jo har kisi vyakti ke paas nahi hoti hai. But jab se android operating system market me aaya hai log medicine se lekar cloning karna bhi sikh chuke hai. Ab main bina samay barbad kiye aapke sath top android apps share karne ja raha hu. Maine is post me kuch legal advice wali apps ko bhi mention kiya hai taki aapko FREE me legal advice mil sake. 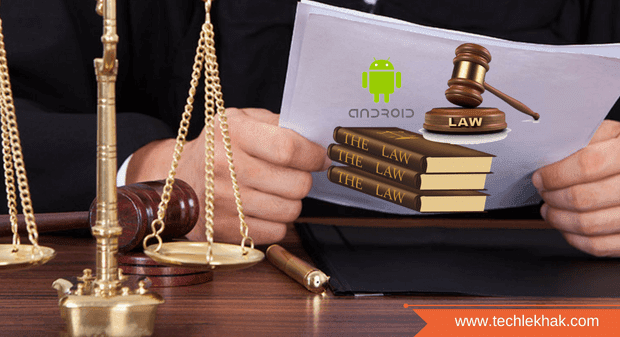 IPC - Indian Penal Code android App ki madad se aap A-Z penal codes ke bare me jankari hasil kar sakte hai. IPC Apps specially lawyers aur Law students ke liye banai gayi hai. Is App me Penal codes ka bandhaar available hai jisko sikhne ke baad aap Lawmaker ban sakte hai. Is aap ka design bhi bahut beautiful hone ke sath-sath clean bhi hai. IPC App ki help se aap dusre logo me awareness badha kar sakte hai. Agar aap all in one App ki talash me hai to Indian Bare Acts book aapke liye ek perfect solution hai. Is book me woh sabhi acts hai jo hume daily kaam aate hai. Indian Bare Acts app me banking law ki book bhi available hai jinse aap banking se related case ko ek minute me solve kar sakte hai. Iske alawa, is app me consumer law, direct tax law, Science aur Technology Laws bhi available hai. IBA App me act code, chapter wise OR section wise search kar sakte hai. Laws of India ek badiya App hai kyon ki isme Indian Law, Bare Acts, Rules & Legal Terms ke alawa, bahut sare sections hai. Is app me advanced search box hai jisme aap koi bhi corresponding section no. enter karke jankari hasil kar sakte hai. Agar aap law students hai, to Laws of India App aapke liye ek best option hai. Ye app features se full hai aur isme CrPC - Code of Criminal Procedure, 1973, EVD - The Indian Evidence Act, 1872, CPC - Code of Civil Procedure, 1908, Constitution of India, 1949, Hindu Marriage Act, 1955 mention hai. Itna hi nahi balki is App me MVA, aadhaar etc. ke alawa 340+ acts available hai. Constitution of India law degrees aur civil services ke liye bahut important hai. Is application me civil services se related questions ke answers meaningful details me describe kiya gaya hai. Yadi aap civil services exams ko crack karna chahte hai to Constitution of India app ko abhi download kare. Is application ke chapters ko three different parts me divide kiya gaya hai jisme Political system bhi aata hai. Vision IAS application ko India ke top researchers ne badi mehnat karke develop kiya hai jisko padne ke baad kuch aisa mehsoos hota hai ki app download karne wale log civil services exam ko crack kar sakte hai. 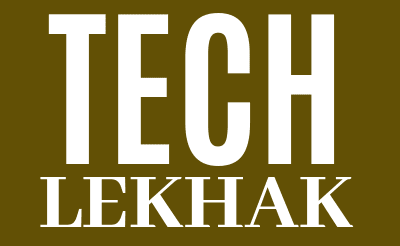 Ye app bahut hi knowledgeable hai jis me A-Z competitive exams ke important questions ko solve karne ke liye har ek section aur tech ke bare me likha hai. Vision IAS App me livestreaming bhi available hai jiski madad se aap IPS, IFS, UPSC, IFoS ke bare me puri knowledge online hasil kar sakte hai. Yadi aap apne career ke bare me serious hai to Vision IAS ko abhi install kare. Maine is post me only android apps ko mention kiya hai aur agar aap same Apps ko apne iOS par install karna chahte hai to aap se nivedan hai ki iTunes par app name enter karke law apps install kare. To friends ye tha sunday ka article jisme maine important Android apps for Indian lawyers and Law students ke bare me discuss kiya. Aapko ek baat bata du ki correct legal advice aur practice ke liye professional aadmi se contact kare kyun ki main in apps ki correctness ke liye koi bhi guarantee nahi deta aur na hi legal purposes ke liye in apps ko recommend karta hu.